I painted this Landscape at a workshop I attended in Flint Michigan with Tim Weidner, an excellent painter from Lansing. I don't usually work from Reference material that I don't photograph myself, but in this case I was happy with the results. 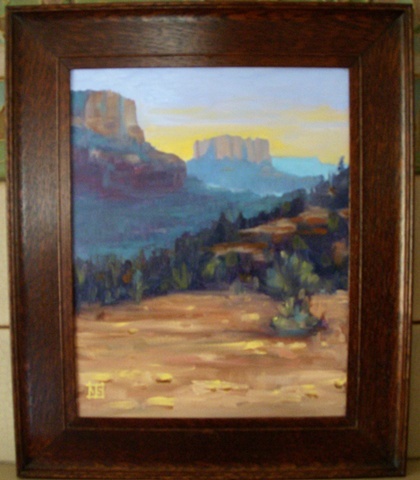 The painting comes framed in 2 1/2" quartersawn oak by the artist.